Through the centuries the Rhine River has inspired poets, painters and composers of the ilk of Byron, Beethoven, Brahms, Goethe and Turner. 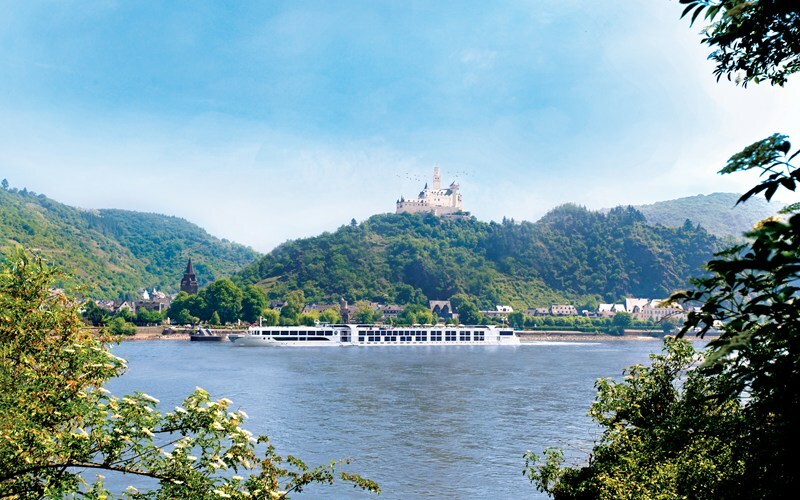 All of which goes someway to explaining why the eight-day Castles Along the Rhine voyage is one of Uniworld’s most popular itineraries, writes Erin Peters. If it’s castles you are after I promise you won’t be disappointed, but there’s so much more to delight in on this itinerary. Glorious cities, impressive mountains, pretty villages, rolling vineyards and great cathedrals. You also get four countries, Switzerland, Germany, France and the Netherlands rolled into eight days. 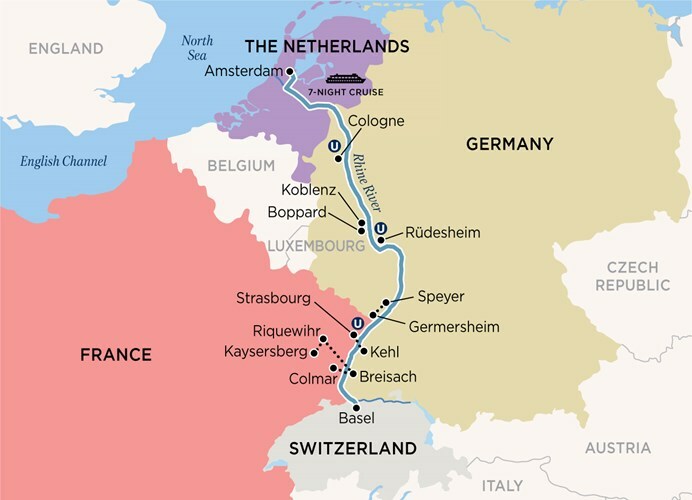 This image: The eight-day 'Castles along the Rhine' voyage is one of Uniworld’s most popular itineraries. Most of the 150 guests on the S.S. Antoinette with me had chosen this voyage to see the Romantic Rhine section of the river, the UNESCO-listed gorge that gives this itinerary its name. None of us were going to miss a minute of it or any of its’ 40 castles and 60 villages. We were a full ship, but our staff had lounges and chairs aplenty positioned around the sun deck to take in the best views. Some guests chose to take a comfortable seat in the L’Orangerie, the lovely light and spacious casual dining area on the sun deck that like all public spaces on the S.S. Antoinette has vast windows. This image: Many guests chose the voyage because of the Romantic Rhine section, and it's 40 castles and 60 villages. Our captain, who was raised on the Rhine and knows it like few others, gave a commentary that went well beyond what we were seeing and brought the castles, villages and the wineries of the gorge to life. Our waiters brought out silver trays of champagne flutes, or anything else we wanted, which is the way it goes with Uniworld Boutique River Cruises. Europe grew up around the Rhine which means at numerous stops we disembarked to find ourselves at our destination. The Romanesque village of Rudesheim is a prime example. The S.S. Antoinette was less than 100 metres from the town’s most famous wine street, Drosselgasse, where taverns and wine shops sell and serve the Rieslings that are grown in surrounding area, the Rheingau, one of smallest wine regions in Germany but one of its best when it comes to Riesling. 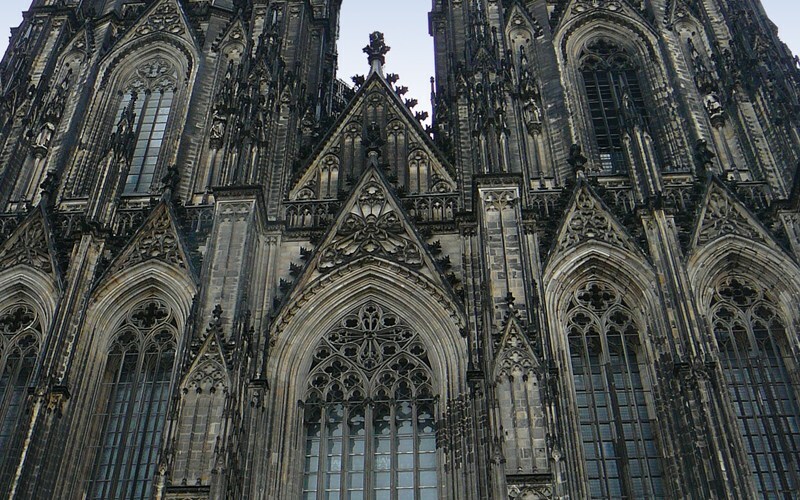 In Cologne, its fantastic Gothic cathedral, another UNESCO site, was almost close enough to touch. This image: Cologne's fantastic Gothic cathedral is just one of the UNESCO-listed sites you can experience on Uniworld's 'Castles along the Rhine' voyage. On the occasions where we needed a coach to get us to our destination, the experience enhanced rather than detracted. Like the 30 minutes spent driving through the rolling vineyards of the Route des Vin to the Alsatian villages of Kaysersberg and Riquewihr, two contenders for the most beautiful village in Europe. The trips to perfectly preserved Baroque city of Heidelberg another example of the journey enhancing the destination. While input from local guides with insider knowledge was always a given on excursions, so, too, was free time, especially useful in the Alsatian capital Strasbourg, the site of the European parliament, a city more often described as the crossroads of Europe with its layers of history, canals, cathedral and delectable food and wine. 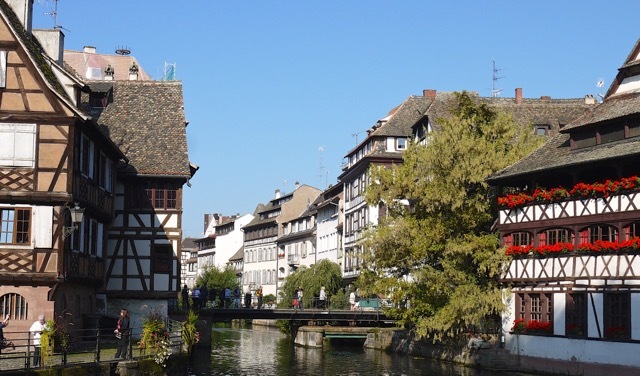 This image: Explore the history, canals, cathedral and delectable food with free time in Strasbourg, a city described as the crossroads of Europe. The S.S. Antoinette embarks on the Castles Along the Rhine and the Rhine Holiday Markets itineraries. Click here to view the full range of Uniworld Boutique River Cruises or contact your Travel Associates consultant for more information.